ASCO provides a boost to many oncology biotech stocks. Small and midcap biotech stock index remains poised near high. Federal Reserve to raise rates, but not deviate much from the last statement. Trump-Kim summit has the potential to be market-moving, if adverse, but most likely it will be a non-event. Portfolio exposure to the speculative segment of the market, like the smallcaps and biotech stocks, remains a promising strategy. Last week, two major meetings for biotechnology and pharmaceutical companies occurred at the same time. The Amercian Society of Clinical Oncology (ASCO) annual meeting, was held from June 1 to 5 in Chicago. The BIO International Convention 2018, hosted by the Biotechnology Innovation Organization, an industry and academic group, was held in Boston from June 1 to 7. To have two high-profile events running in parallel must have been a frustrating challenge for attendees wishing to attend both. Nonetheless, it was good to showcase the advances in biotechnology in a week saturated with the biotech news. On the upside, Deciphera Pharmaceuticals (DCPH) was a big winner as it announced encouraging data from its ongoing Phase 1 clinical trial patients with gastrointestinal stromal tumors (GIST). Loxo Oncology (LOXO) which disclosed positive data for cancer patients with defects in the RET genes during its abstract release in mid-May, spiking its shares, further improved the data during the ASCO meeting by revealing even higher-response rates. RET abnormalities occur when two genes end up getting fused together, which can trigger accelerated cancer cell growth. Immunomedics (IMMU) unveiled positive data during the ASCO meeting for its breast cancer drug, sacituzumab govitecan, in another cancer indication, raising hopes for potentially an accelerated pathway for approval. The drug is already under review for an FDA approval for metastatic triple-negative breast cancer as a third-line treatment. 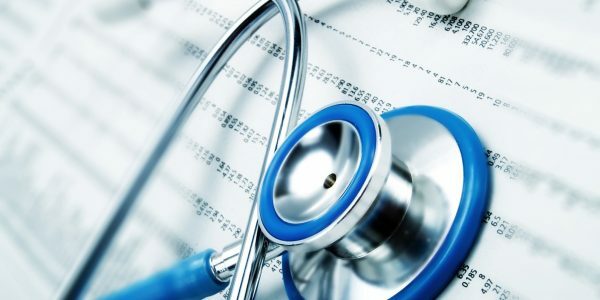 On the downside, Jounce Therapeutics (JNCE) continued its slide which began mid-May following the abstract release showing underwhelming data for its lead drug JTX-2011, with much less efficacy both as a monotherapy and in combination with Opdivo against a range of solid tumor cancers. However, the Phase I/II study data is still early and may show different statistics as it matures. Nektar Therapeutics (NKTR) was the most high-profile underperformer as its stock plunged nearly ~40% after releasing data on NKTR-214 at ASCO. The drug in combination with Bristol Myers Squibbs' checkpoint inhibitor, Opdivo, showed diminishing response rates as the patients were increased. The Company believes that this is due to new cohorts joining later in the study, and response rates will improve with maturing data. Additional trial data from the combination therapy will be available in October 2018. So far in June, the biotech sector remains positive, and in the case of small-and-mid-cap stocks, as represented by the S&P Biotechnology Select Index, it is tantalizingly poised near recent highs. 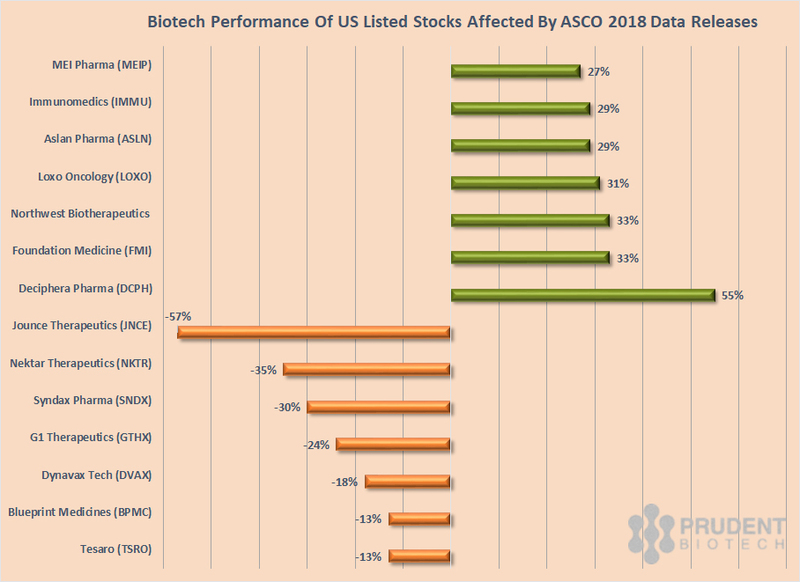 Biotechs are well-positioned and have a few compelling reasons, some of which were outlined in the earlier article 4 Reasons To Move Higher, for a sector exposure. For the rest of the month, Biotech performance will be determined more by the broader market direction as we head into a busy week of economic and political news. The Federal Reserve and the European Central Bank have policy meetings scheduled for this week, and the message is going to be similar. The global economic growth remains steady and a gradual withdrawal of stimulative policies will continue in the US and European Union, though at different trajectories. The Federal Reserve's 2-day FOMC meeting which begins on June 12, Tuesday, with a statement out on June 13, is broadly expected to result in a quarter-point rise in the Federal Funds rate for the second time this year. In addition, the bank is expected to maintain the language providing it with the flexibility to raise interest rates 4 times this year instead of the projected 3 times. This will not be a hostile scenario for stock valuations. The Federal Reserve is managing an economy that has strong business momentum with low unemployment and moderately rising inflation. In addition, the economy has been fiscally stimulated through rising government spending and tax cuts. This vigor and robustness in the economy provide a measure of flexibility for the economy, and consequently the Federal Reserve, to withstand turbulence in the emerging market economies, political uncertainty in European countries, and, for now, trade friction with leading partners. However, prolonged business uncertainty and disruption, created as a result of trade friction and tariffs, particularly with key trading partners, can evolve to eventually become a real threat to economic growth. In the end, businesses will not care much about trade agreements with North Korea or Russia, but they do care a lot about G-7. The summit between the leaders of the US and North Korea on June 12, is the next big geopolitical event. A successful outcome will be a positive, although it remains unclear what is considered a successful outcome in the first meeting. Perhaps, reaching a cordial conclusion of the meeting would be considered a success. As of June 1, the Nasdaq Biotech Index was up +2% for the year, while the Prudent Biotech Portfolio is up +37%. The small cap segment continues to remain strong for a variety of reasons, as highlighted in the earlier small cap article. This continues to demonstrate a steady risk appetite. The small cap Russell 2000 index is up +6% for 2018, and the Graycell Small Cap Portfolio is up +28%. All key market indexes like S&P 500 (SPY), Nasdaq (QQQ), Russell 2000 (IWM) and Dow Jones (DIA) have gained ~3% so far in June. This may suggest a more passive market for the remainder of the month as gains are consolidated. 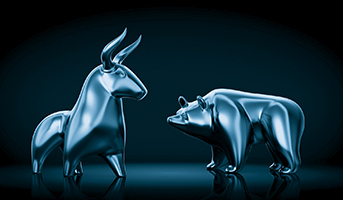 However, with high-impact items like the historic Trump-Kim summit and the FOMC meeting, there can be sufficient news to further the gains or create some unfavorable volatility this week. Nonetheless, the case for staying the course with stocks remains intact, along with a portfolio exposure to the speculative segment of the market like the small caps and younger midcaps. There continue to be many such promising companies which can be part of an aggressive portfolio. A few of them, which may be now or in the past part of our model portfolios, include Immunomedics (IMMU), Ultragenyx Pharma (RARE), Loxo Oncology (LOXO), Turtle Beach (HEAR), Agio Pharmaceuticals (AGIO), Fossil Group (FOSL), California Resources (CRC), Sarepta Therapeutics (SRPT), Transenterix (TRXC), Supernus Pharmaceuticals (SUPN), Mirati Therapeutics (MRTX), Endocyte (ECYT), Adaptimmune Therapeutics (ADAP), Arrowhead Pharmaceuticals (ARWR), Trade Desk (TTD), Arena Pharmaceuticals (ARNA), and Neurocrine Biosciences (NBIX).